Louis Graybeal, age 78, Paducah, KY passed away at 3:40 a.m. Wednesday, November 14, 2018 at the Ray & Kay Eckstein Hospice Care Center. Louis was a member of Lone Oak United Methodist Church where he served as a Sunday School teacher and served on various church committees. 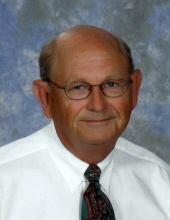 He served in various positions of Rotary International, Junior Achievement and Paducah Area Chamber of Commerce. Louis was active in Boy Scouts of America and Gideon International. Louis received Duke of Paducah and was named a Kentucky Colonel. He enjoyed playing golf and watching the University of Kentucky basketball games. Louis retired from Atmos Energy where served in management. He was preceded in death by his parents, Claud Graybeal & Della Clyde King Graybeal; five brothers and two sisters..
Services will be held at 12:00 Noon on Monday, November 19, 2018 at the Lone Oak Chapel Milner & Orr Funeral Home with Rev. Sam Chambers officiating. Entombment will follow at Woodlawn Memorial Gardens. Visitation will be held Sunday, November 18, 2018 from 5:00-8:00 p.m. at the Lone Oak Chapel Milner & Orr Funeral Home. Expression of sympathy may be made to Lone Oak United Methodist Church, 3835 Old U.S. Highway 45 So, Paducah, KY 42001, Lourdes Hospice, P.O. Box 7100, Paducah, KY 42002-7100 or to Gideon International, P.O. Box 10, Kevil, KY 42053.